D&D Antiques Gallery is located on the Upper East Side of Manhattan, New York and can truly be called the finest antique boutique in New York. Having two amazing showrooms, which are open to decorators & designers as well as the public. The gallery has a Paris feel to it & offers the most exquisite & unique creations that the world’s centuries & culture had to offer for the royal & higher society. At this museum like gallery you will find the most magnificent antique lighting chandeliers, wall appliqués & lamps, as well as superb furniture & decorations. 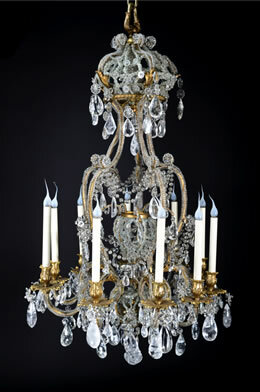 Our vast & amazing collection is composed of the most rare, unique & of finest quality from all around the world such as France, Russia, Italy, Sweden, Asia, and England which date from 1700’s to 1900’s. 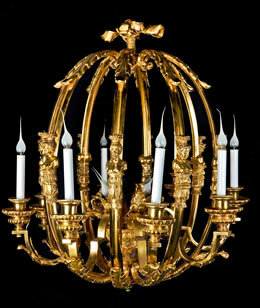 Whether you are searching for that jewel like rock crystal or baccarat crystal chandelier, or molu bronze wall appliques to a rare piece of furniture & decoration you are likely to find it in this gallery.